Moong dal dhoklas taste so good and they are light too. 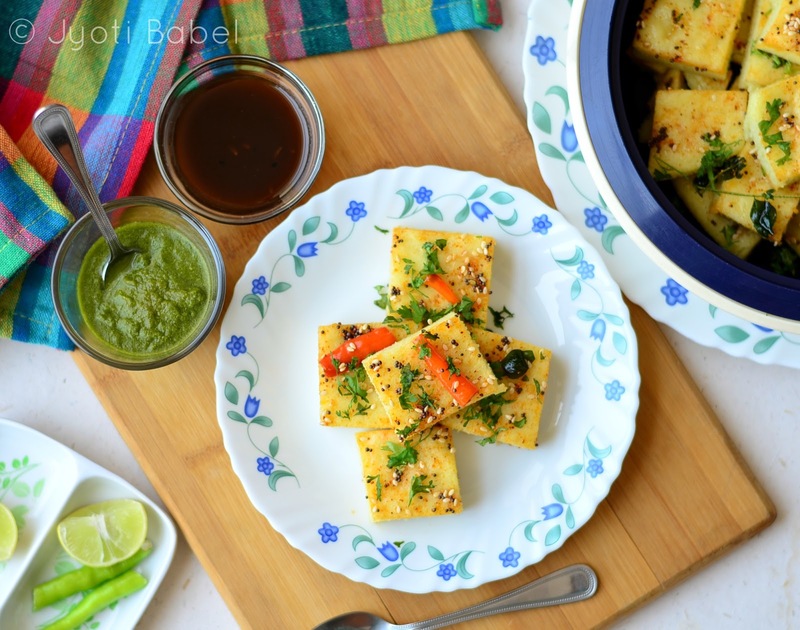 Moong dal dhokla looks delicious and healthy too. Because you used lentil in it. Loved the idea. Perfect breakfast or snack recipe. Thanks for sharing. 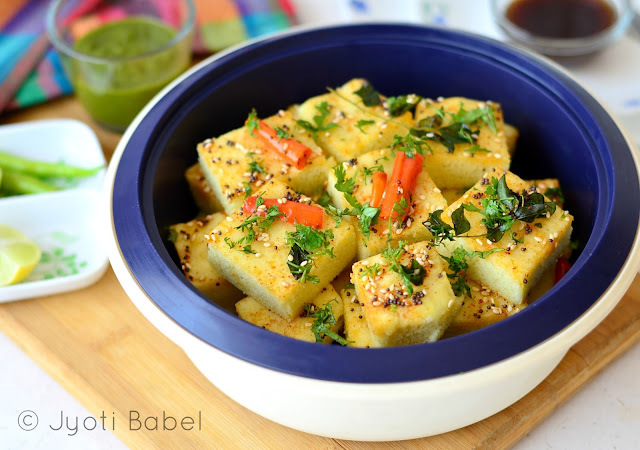 Moong dal dhokla are such an healthy and yummy choice for breakfast or anytime snacking, thanks for sharing. I am a huge fan of dhoklas and I have tried out several versions. These look so tempting and so soft as well. My dinner is sorted out tomorrow:) I'm trying to keep away from carbs at night so this will be perfect. I love all sorts of dhokras. 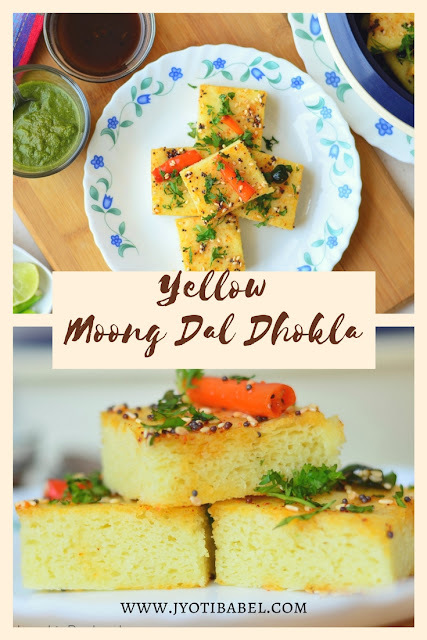 I have never made Dhokla with Moong Dal. I will try this recipe for sure. I make dhoklas ut never made this way. These moong dhoklas look equally good, should give a try to this one. One of my favourite but I haven't tried using Moong dal. Thanks for sharing. Will try soon and loved your presentation ! Am sure this nutritious dhoklas will definitely please my tastebuds, simply am in love with this excellent version. Too good yaar. What a healthy and delicious treat at the same time, moong daal dhokla are easy to digest too. Beautiful presentation and pictures Jyoti! Another beautiful Gujrati recipe for my collection! 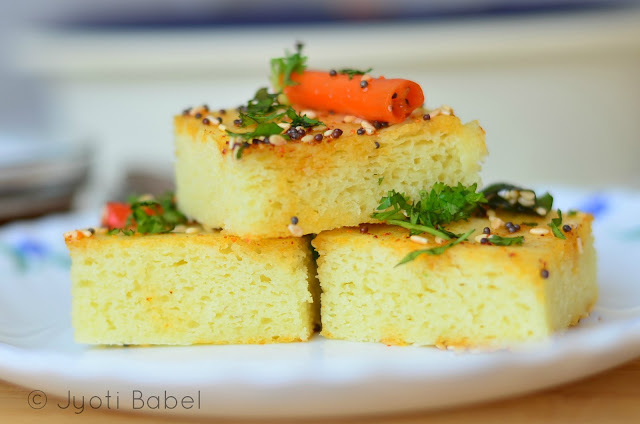 Thank you for the tip on making these without a special dhokla steaming pan. These little bites must be lip smacking with all the yummy chutneys. Love the texture of this dhokla you got there. 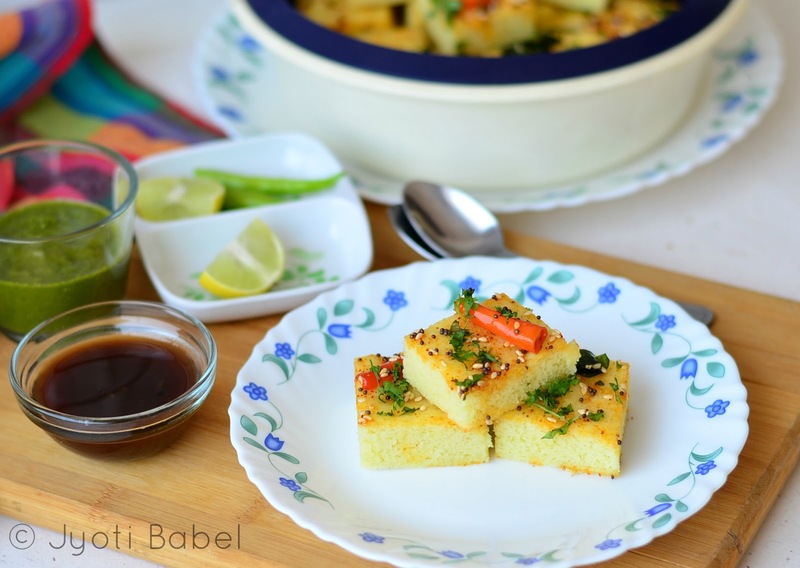 Healthy protein packed dhokla and it is so beautifully presented. Dokla looks soft and tempting.. moong dhal in dhokla is an interesting idea.. The flavours of gujrati cuisines are super delish..